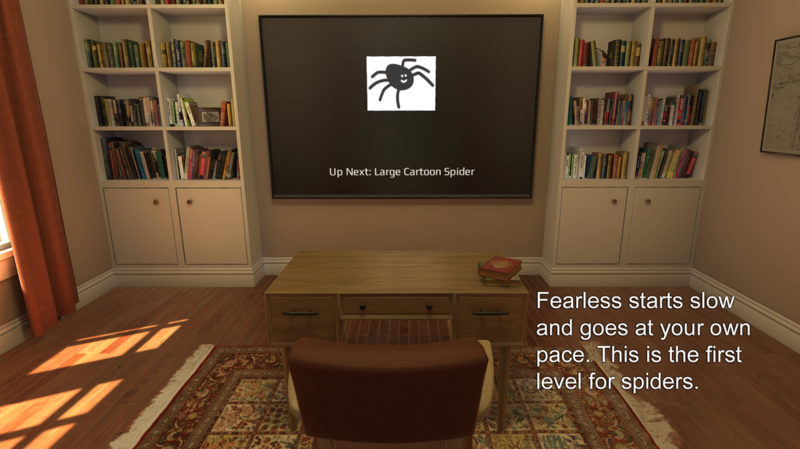 Fearless helps you overcome your fears, gradually and at your own pace, using virtual reality. Fearless is inspired by the well-proven techniques of exposure therapy. Nervous about facing your fears? Here is a screenshot of the first spider level. Keep going!